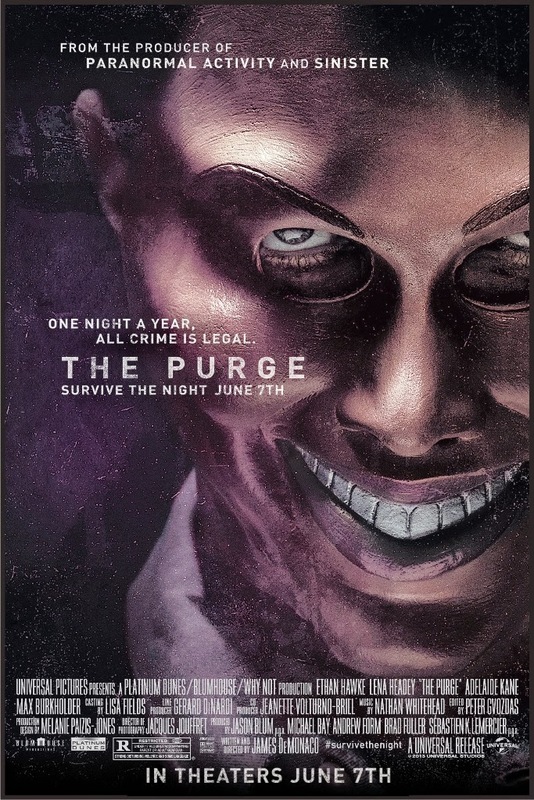 The Purge has an incredible interesting premise that lends itself for more than this film delivered on. Now I had my doubts about this film but Mrs. P. convinced me that it was worth my time and I have to agree. There was enough there to keep me entertained. Only there are some elements I have to be critical about. Set aside the sudden need for release of anger and violence like those are things you can contain for a whole year. (I mean honestly, are we humans then all have become Vulcan who can control their emotions? Would people really be this bloodthirsty? I understand getting angry sometimes and wanting to beat someone up because he slept with your wife or something similar, but to go the next step and actually kill someone in cold blood just because you can? That is truly excessive and not realistic. Public outrage in The USA have lead to riots where people started destroying and pillaging. They stole TV's and everything they could get their hands on. But killing?) I understand that this is one the things you have to let go off and accept it is like this. So I will. However following the logic of the film. Why would people who obviously have enough money stay around the day the purge happens and not go on holiday to Europe or Asia or anywhere that is not America? Very likely you are going to be a target. Another huge flaw in the movie's own logic. If you weren't super rich, not part off the elite and not living in a good neighborhood would you not seek out and explore the areas that had it all. You are getting 12 hours to do whatever you want crime wise but you do not take advantage of this? Apart from the homeless man there were only a bunch of bored, jealous rich people on the streets in this particular neighborhood. Logically speaking these rich bored people would very likely be a target themselves. Again I understand that I have to let go of this and just accept it is like this. So I will. Now the kids in this film. Especially Charlie. Holy crap! Not only does he put him and his whole family in danger, he keeps making mistake after mistake and gets forgiven for them because he is a child. The parents don't discipline him once. They don't even yell at him for doing the stupid things he does. Yeah, that is simply unbelievable. Sure they could be the most understanding parents, but when you are in a stressful and dangerous situation I think it is very unlikely you would be so calm that you would not chastise the kid at least one time for what he has done. And it is not that I think the kid was that wrong. I mean he genuinely could think that he needed to help. It even got me thinking if I would do the same. 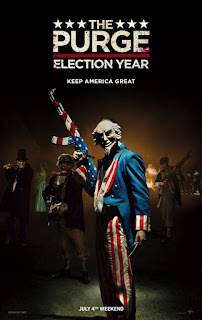 My initial thought was hell no, if someone is out on the street when something like The Purge is going on, then you are on your own brother or sister. My second thought was, well maybe this homeless guy had been in a coma for years and did not know about The Purge. In that case I would first ask him if that was the case. And then maybe would consider him letting in. Only he doesn't do any contemplating at all. He does not even go to his parents. All he does is undermine their authority and decides for them what should happen. And he is supposed to be the innocent one. What bothered me the most was how less was done with the buildup of tension and horror elements. Initially the film was building up suspense very nicely but soon it became more like an action fest where the home owner and his family have to fend off the bad guys. That wasn't really scary since the main character James had quite an arsenal and the odds were quite equal. After reading all this you might think, did he like the movie or not? Well, yes I liked it but more for the potential it could have delivered on. There is a lot more that needs to be explained and explored. Especially since with a premise like this you would expect more chaos and mayhem. 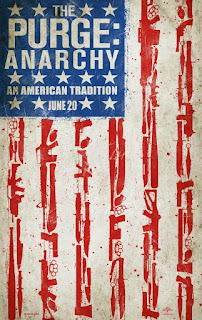 Now I have heard and read that the sequel The Purge: Anarchy is doing what the original should have done. Which is something I am going to find out as soon as I can. Overall I was not expecting much from this film but it managed to keep me entertained because it does have a good pace and has very solid acting. I have to add that I am not into the home invasion type genre much. I don't find it interesting. But this one surprised me because it did not go there where previous ones have gone. And in this case it is something that needs to be praised.